Kaimahi Kaha: Stand by Affco workers! Using a dispute over pay as the pretext, Affco is attempting a direct assault on the union. Non-union members and new employees are not subject to the lockout. Affco is attempting to limit the union's influence for what management refers to as "critical commercial reasons". Under the company's proposals, the workers at Affco would be expected to work faster, processing more carcasses per hour, without an increase in their pay. 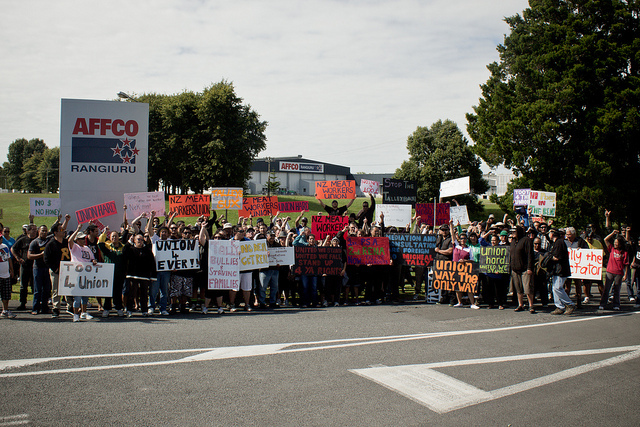 Workers at Affco have already seen their pay slip to some of the lowest levels in the country. Additionally, the company is facing accusations from workers that Affco has compromised on safety to undermine the union. The proposed speed-up will only exacerbate safety issues at Affco plants. Employees at Affco, however, are already amongst the lowest paid workers in the country, some earning as little as $35,000 per year. Meanwhile, Affco is owned by the Talley family - one of the richest families in New Zealand. The lockout comes as bosses are putting pressure on workers’ pay and conditions across the country after the National Party won another term in office. 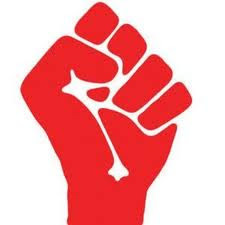 Encouraged by the election of a party dedicated to looking after the needs of business, employers have been emboldened to recover profits lost during the recession by attacking the pay and conditions of workers. Unions stand between employers and that goal. By enabling workers to negotiate collectively, unions place workers in a better position to protect what they have, and to win more, which means a more equal society. Over the past year, movements for an equal world have rocked the globe. By escalating the dispute through solidarity actions, and refusing to back down, Affco workers have shown they’re willing to fight to defend their union rights, with more solidarity strikes even as the lockout was extended. It’s this kind of action that builds strong unions and strong communities. Justice for the Urewera Four! Crafar Farm Sale: whose land is it anyway?